STYLE ALERT! 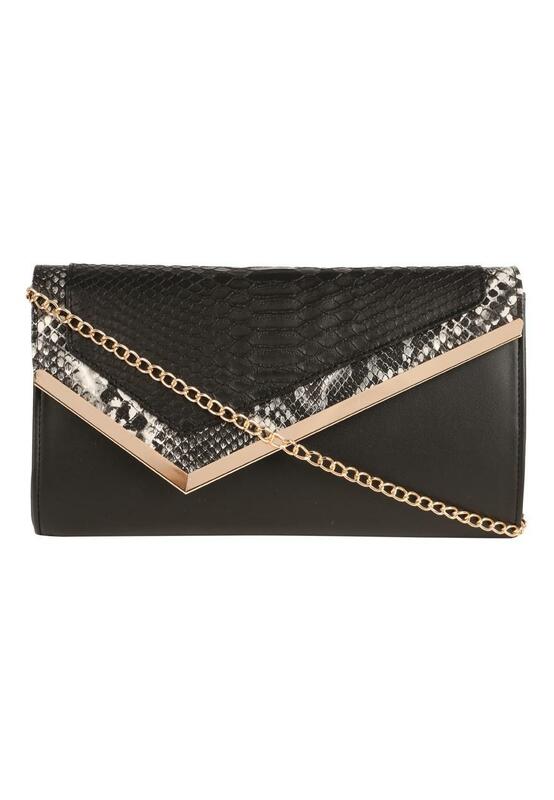 This asymmetrical panel clutch is bang on trend this season. 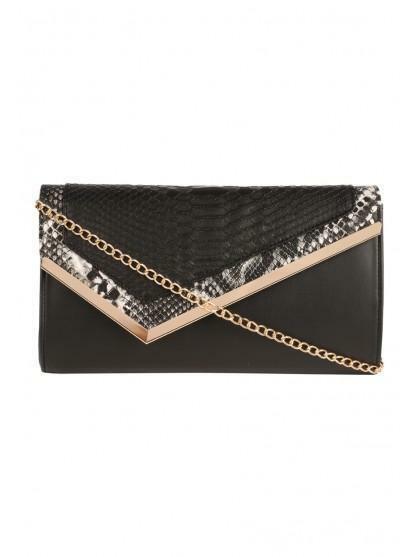 The flap features a snakeskin effect and python trim with a pale gold asymmetric bar along the length of the top flap. Its gold cross body chain is stylish and practical and the interior zip pocket is perfect for storing your phone and credit cards. A great value buy from Peacocks.